Where Does Stress Hit You the Hardest? Stress can affect each one of us differently. Depending on a variety of contributing factors, symptoms can show up on many levels. We often feel the symptoms without recognizing stress as the underlying cause. Treating the symptoms and not the stress will lead to the stress symptoms moving to another area of the body, or psyche, or behavior. 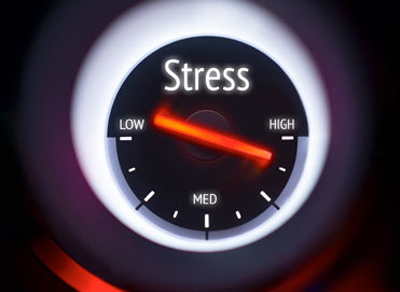 Stress has become an all too familiar household word. “It's just stress” is a phrase often used to dismiss an emotional outburst, forgetfulness, headache, pain, or illness. From a body-mind perspective, emotions are the main ingredient in the experience of stress; indeed, it is emotions—feelings such as anxiety, irritation, frustration, lack of control, overwhelm, hopelessness—that individuals experience when they describe themselves as “stressed.” HeartMath research indicates that emotions, even more than thoughts, activate and drive the body's physical changes that correlate with the stress response. Thus, the key to optimal health and vitality is directly related to our ability to self-regulate our emotional experience. Simply stated, the emotions we often label as “negative” do, in fact, disrupt optimal physiological and mental functions. Conversely, the emotions we often refer to as “positive” facilitate a wide range of physiological functions, renew our energy, and optimize the body's natural regenerative processes. Stress is ever present. Stress reduction comes with reducing our response to the stress. HeartMath trains one to intentionally generate heart rate rhythmic patterns (heart rate variability or HRV) with positive emotions. These techniques help create a permanent shift in the physiologic and emotional response to stress. The changes in HRV are monitored and give the user feedback on how their practice is changing their body's response to stress. What Does Western Medicine Say About Acupuncture for Stress Reduction? Endorphins (our body’s natural pain killers) released after acupuncture for pain relief. Reduction in stress hormones (epinephrine and norepinephrine) after acupuncture for stress and other related symptoms. Increased blood flow in areas after acupuncture which oxygenates the tissues, removing cortisol and other waste chemicals leading to less muscle tension. The relaxing nature of acupuncture also helps decrease heart rate and lower blood pressure. Emotional distress including anxiety, depression, irritability and constant worry have all responded favorably to acupuncture.